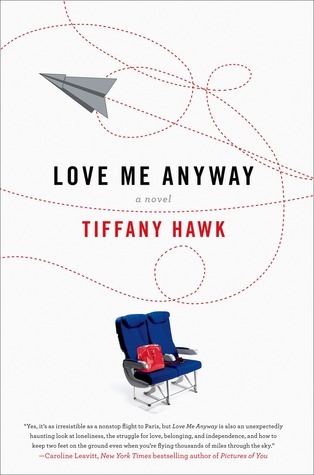 I enjoyed the glimpse inside the lives of stewardesses with Love Me Anyway. The detailed insight into their lives amazed me and I kept reading for these juicy tidbits – and there were many of them! A novel about finding yourself, this book was a bit darker than some of the contemporary women’s fiction I’ve read lately. The women were definitely hard to love, but in the end, the writing itself was fabulous and frequently humourous, despite some characters I had a difficult time relating to. Emily and KC are both running from their lives – Emily is running from a controlling, abusive husband who she just left as well as a disapproving father and has issues surrounding a mother absent since she was a small girl. KC is bolting from the reality of her mother’s impossible battle with cancer and is trying to find her father who disappeared when she was a young girl. When the two girls meet at stewardess school, the unlikely pair form a bond – the kind that survives strong lengthy absences. They share a home with several other stewardesses and sometimes see each other only once a month. These two are a dysfunctional duo. I frequently didn’t feel they were really friends. While they both bring out a little something good in the other I thought that, more often, they brought out the worst. It was all a bit grim for me, to be honest, and I had a hard time relating to both the women themselves – mainly because I didn’t actually like them very much, as well as their relationship. The ending seemed a bit abrupt and both characters ended up places I wasn’t sure they would without the external shove they received. Although I enjoyed some of the surprises I wasn’t entirely convinced they grew as people. Or if they did, I didn’t really see it. They ended up where they were because of unforeseen circumstances, not because growth was realized during their adventures. 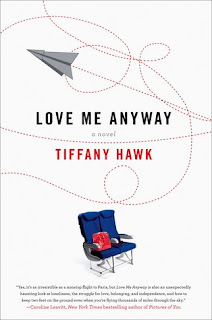 Complete with questionable men, copious amounts of alcohol, and dysfunctional relationships spanning family, friends and, especially, men, Love Me Anyway pokes into the dark shadows where the search for love and acceptance often lurks. Thank you to Macmillian for our review copy. All opinions are our own.